Palmerston will be living at one of the country's most famous addresses among the UK's top diplomats and ministers. 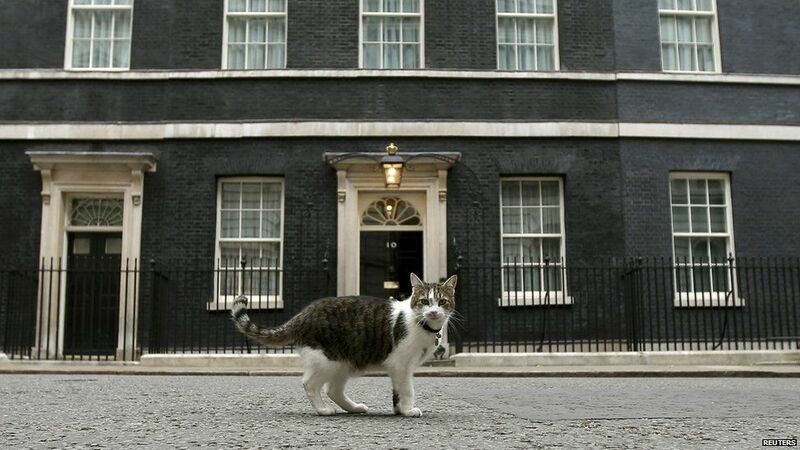 Image caption Palmeston will have powerful neighbours too, with Larry the Downing Street cat living just up the road. 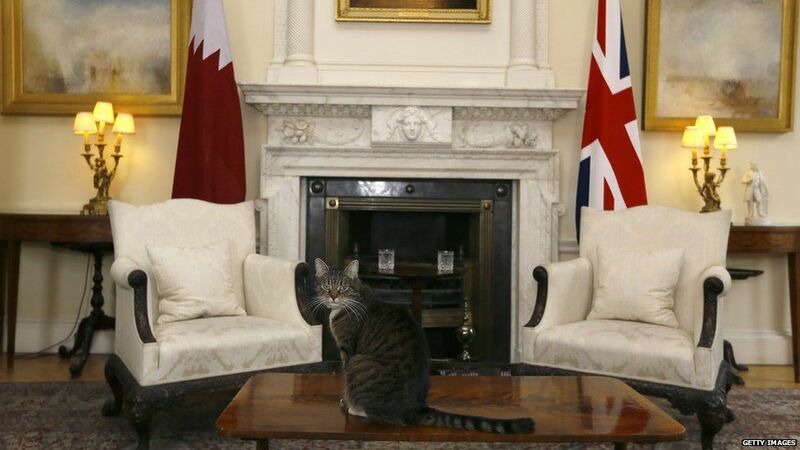 The Foreign Office statement also said: "Palmerston is HM Diplomatic Service's newest arrival and in the role of FCO Chief Mouser will assist our pest controllers in keeping down the number of mice in our King Charles Street building. "We have worked closely with Battersea Dogs and Cats Home on Palmerston's deployment and they have inspected his new home, as they do for all pawtential new owners of their rescue cats." The two year old domestic short hair was found wandering the streets of London. He was hungry, underweight, and had no microchip, meaning his previous owners could not be traced. Battersea's Head of Catteries, Lindsey Quinlan told Newsbeat: ""He's a very confident cat, loves being with people, and enjoys a good chin rub. "If his behaviour at Battersea is anything to go by, we predict Palmerston will be a formidable feline, very deserving of his new name." There are a number of cats living in important government buildings, many of which are old and full of mice. It's thought the cat was named after Lord Palmerston, a former prime minister described as "a charismatic and popular figure". Lord Palmerston didn't become PM until he was 71, making him the oldest leader in history to take up the office for the first time. Before that he was foreign secretary for 15 years. 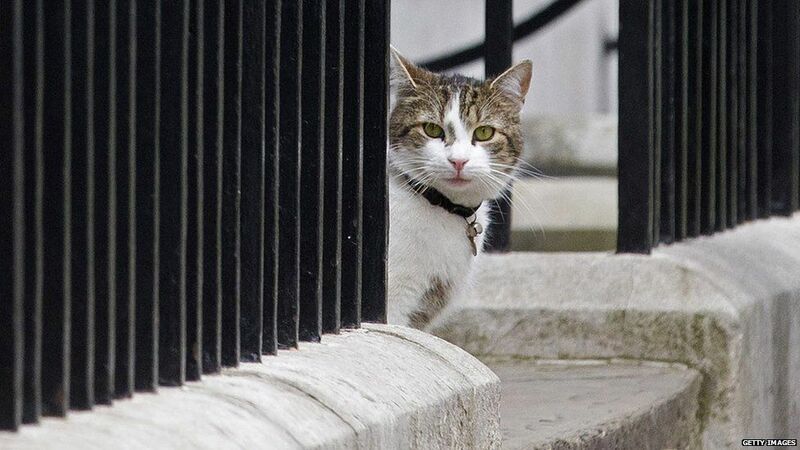 Image caption Larry the cat is Downing Street's chief mouser. Larry moved into the prime minster's home, Number 10 Downing Street, in 2011. 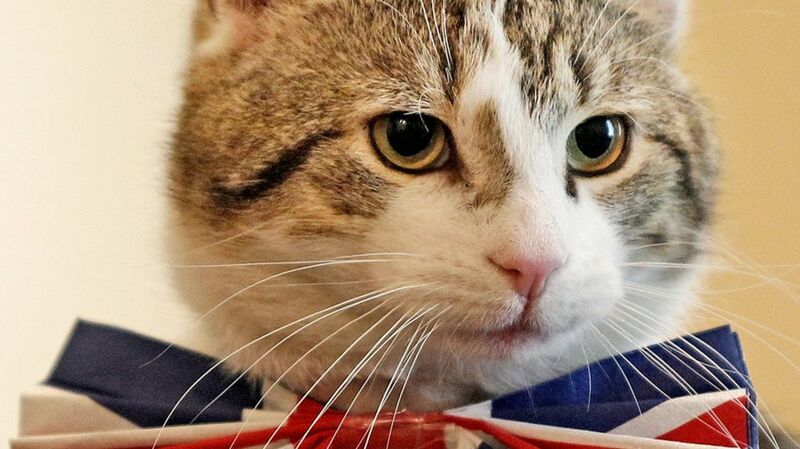 Like Palmerston, he is a rescue cat from Battersea Cats and Dogs Home in London. Image caption Larry is often seen on the news in the background waiting to be let into Number 10. 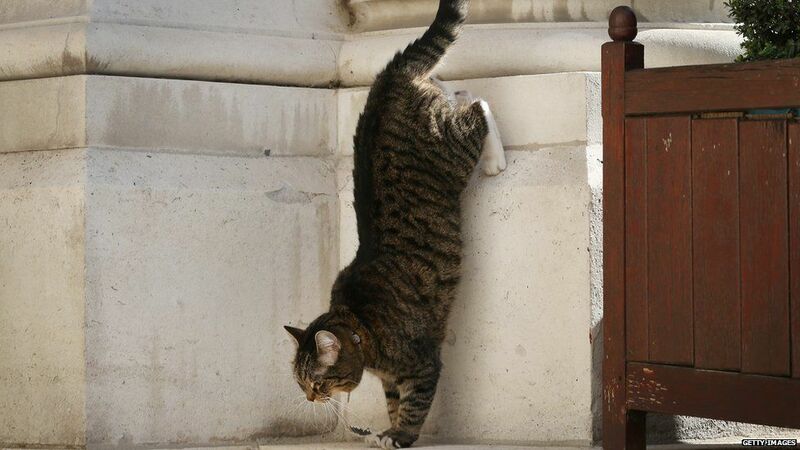 In a radio interview, David Cameron revealed that Larry was working hard as a "mouser" and had been busy dealing with Number 10's rodent infestation. 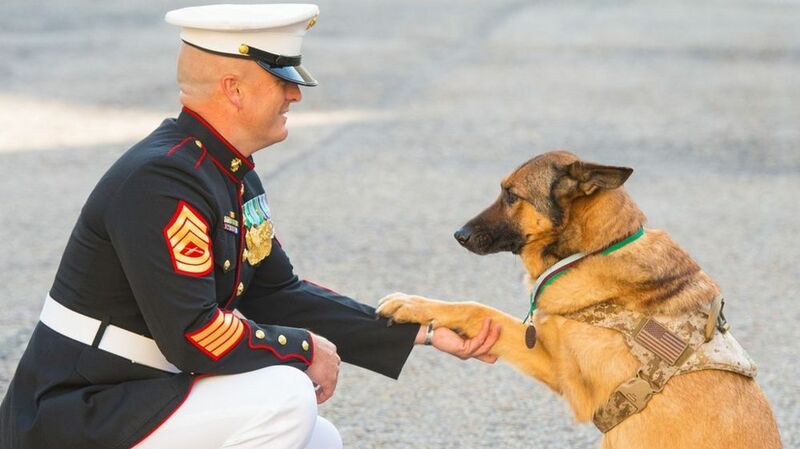 He also said Larry did not generally like men but was friendly with President Obama. Larry even has his own "unofficial" Twitter account, with 47,500 followers. 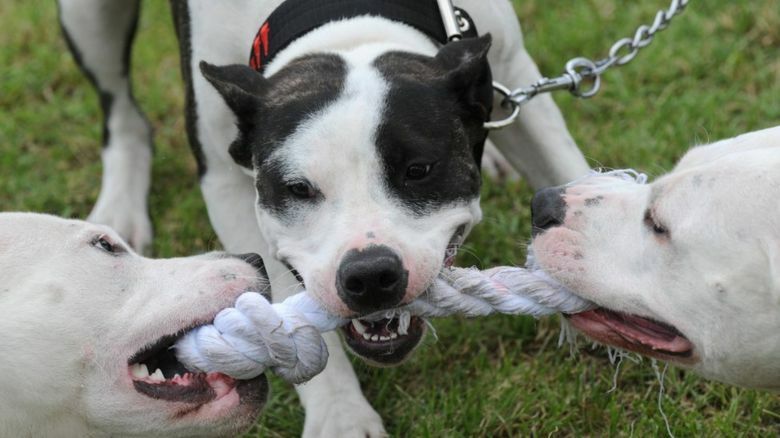 Freya, the Chancellor of the Exchequer George Osborne's family pet, has had a number of misadventures. When she was just a few months old, she went missing. Three years later, Freya was found was alive and living in a garden near her family's former Notting Hill house. Image caption Freya is known to have had a number of misadventures. In 2011 the Osbornes brought her to live on Downing Street, next door to the Camerons and Larry. Since living there she's continued her misadventures, including being rescued by a charity worker after straying more than a mile from her Westminster home. Then in 2014, Freya was "clipped" by a car near Downing Street but her injuries weren't serious.